Diagnosis of demodicosis is made on a high index of clinical suspicion. Occasionally, nasal skin scrapings may be requested to rule out the possibility of acne rosacea. 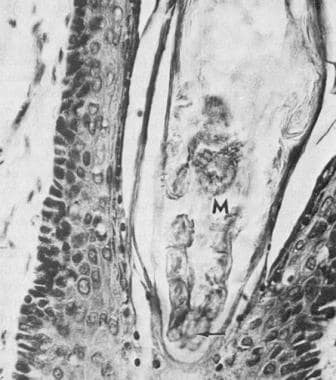 By visualizing the metazoan parasite under high-power magnification, a definitive diagnosis can be made. 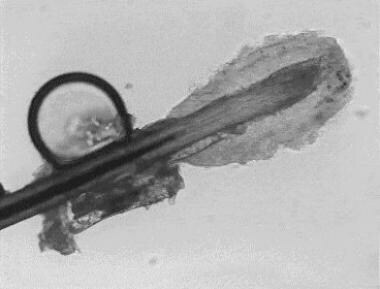 An epilated lash examined under low-power magnification may demonstrate the organism. 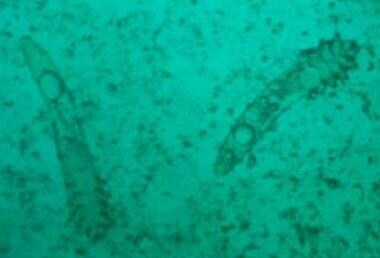 Electron microscopy has been used to visualize the organism. Slit lamp biomicroscopy involves carefully removing a collarette, at the base of an eyelash, using flat ophthalmic forceps. 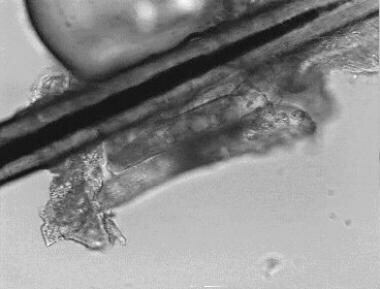 The tail of a Demodex may be visualized as a translucent strand at 16x magnification. 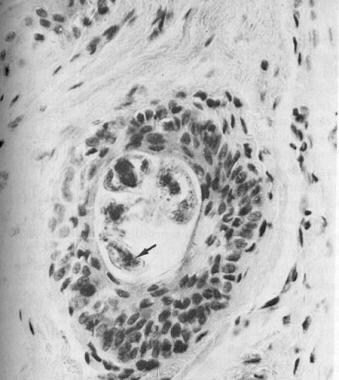 All reported histologic sections of lid follicles infested with D folliculorum show distention and thickening. 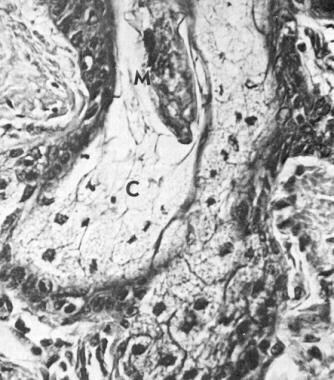 Coston claims that less than half the specimens he observed showed perifollicular lymphocytic infiltration. Follicular inflammation produces edema and results in easier epilation of the eyelashes. It also affects cilia construction, and the lashes are observed to be more brittle in the presence of demodicosis. 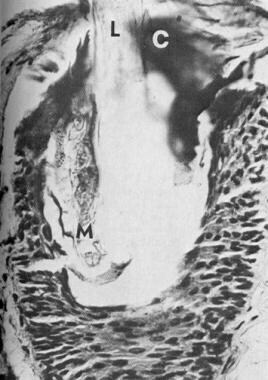 Dermal changes seldom extend beyond the perifollicular epidermal area, although epithelial hyperplasia associated with follicular plugging is often encountered.